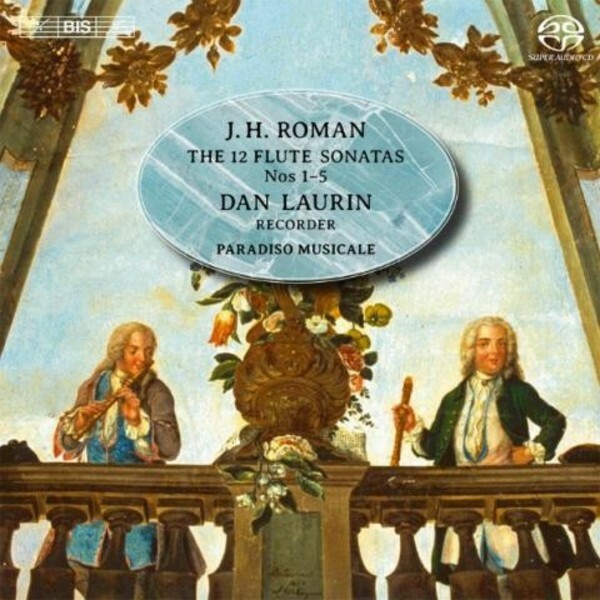 The celebrated recorder player Dan Laurin here takes up his fellow countryman抯 sonatas on his own instrument. Laurin explains his fascination with Johan Helmich Roman's music: "complex emotional contexts are contrasted with folk music forms such as the villanella or piva � the music is asymmetrical, irregular and full of unexpected twists, sudden pauses and cadences". In it, Laurin hears the influence of the Italian musicians that Roman met in London during his stay there between 1715 and 1721. With his fellow musicians in Paradiso Musicale, Laurin opts, therefore, for an Italianate slant � different continuo settings, ranging from harpsichord alone to the full complement including baroque guitar, provide great variety in realizations characterized by bold and striking harmonisations.